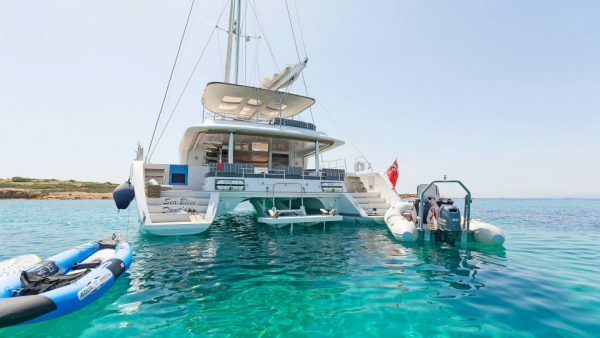 World’s End is one of the leading crewed catamarans in the East Mediterranean. 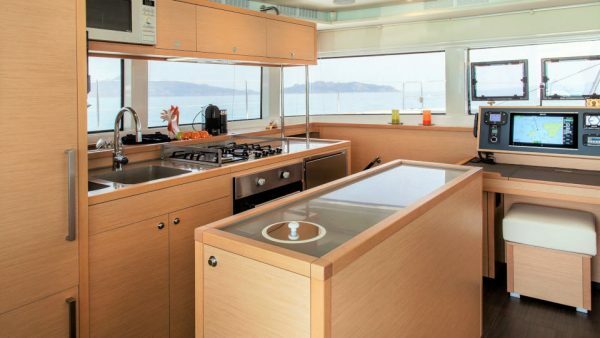 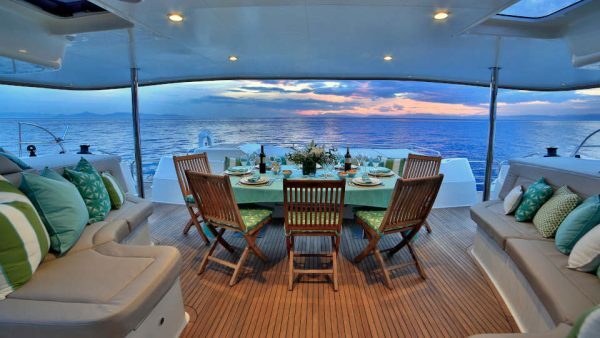 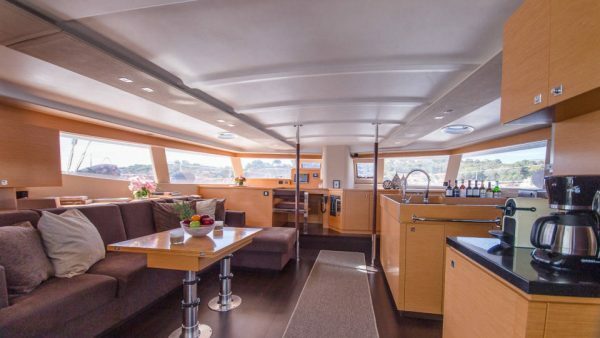 She features panoramic views from the saloon, dining area and galley. 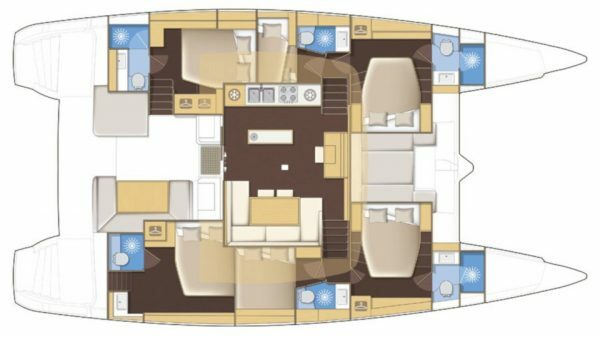 Presenting five lavish cabins, one Master, three Guest and one Twin cabin, she comfortably accommodates up to 10 guests. 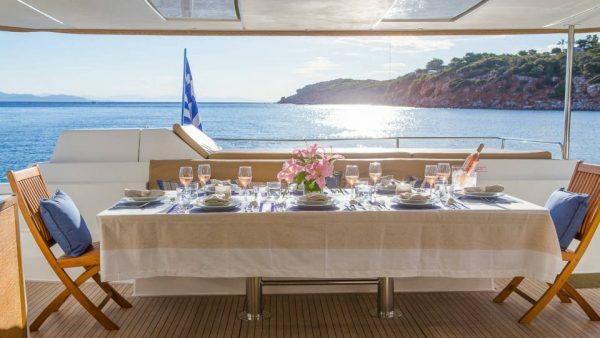 The aft deck is ideal for alfresco dining while the foredeck is set up for sunbathing and relaxing. 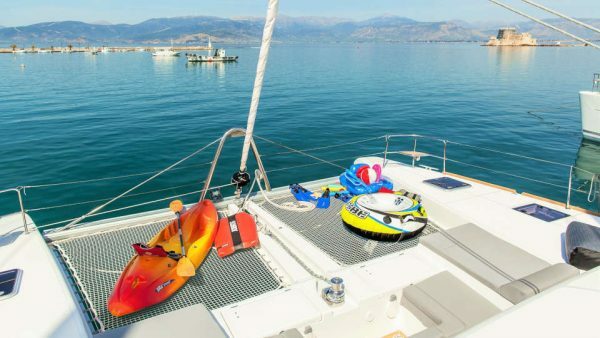 For on-water fun of all ages, World’s End offers a wide range of water toys including two Seabobs, a Williams 385 Tender and a paddle board. 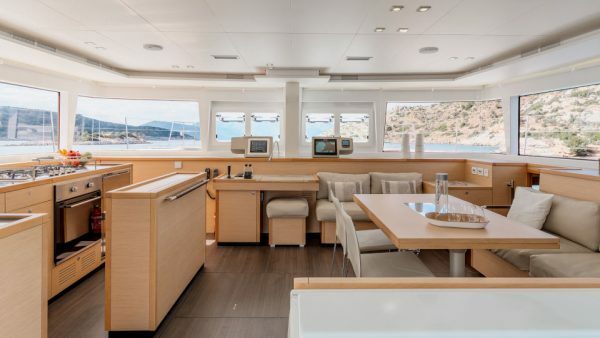 Her crew of three is really exceptional and her Chef, having won many chefs’ competitions – including the one at the Antigua Charter Yacht Show – is very talented! 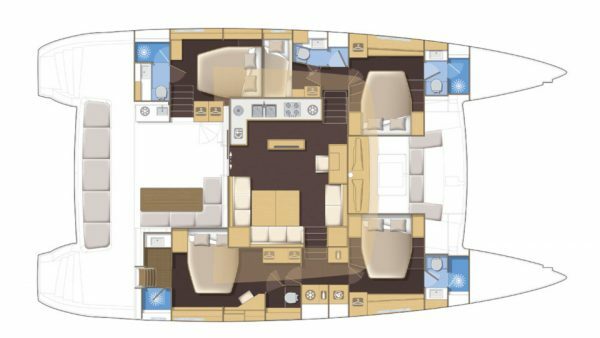 Serenity launched onto the market in 2015 features diamond shaped vertical bows and a gull-wing bridge back. 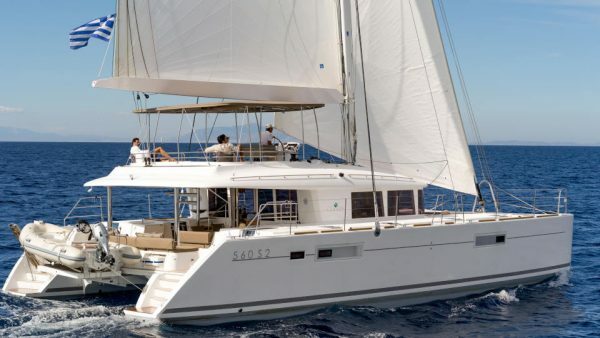 If there is a world that could describe this Lagoon 52, successor to the massively popular Lagoon 500, is big! 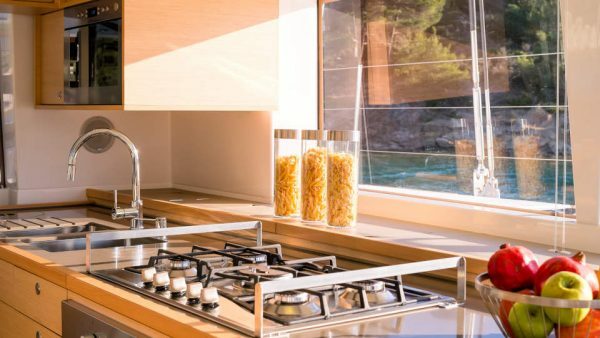 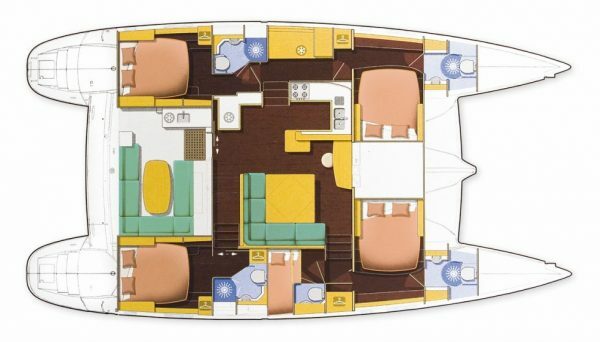 She presents six modern cabins that can accommodate up to 12 guests. 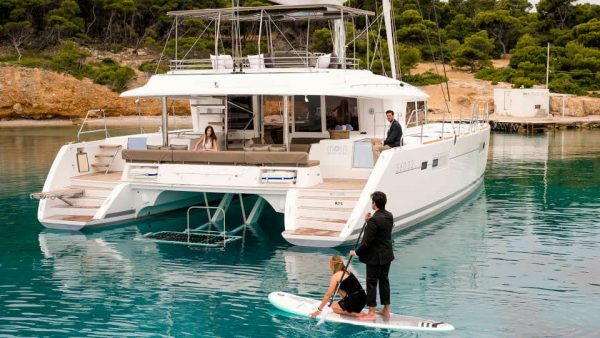 Her fabulous crew of two, Spiros and Xenia, know the Greek waters like the back of their hands and will ensure that guests will have an unforgettable cruising experience to the Greek islands. 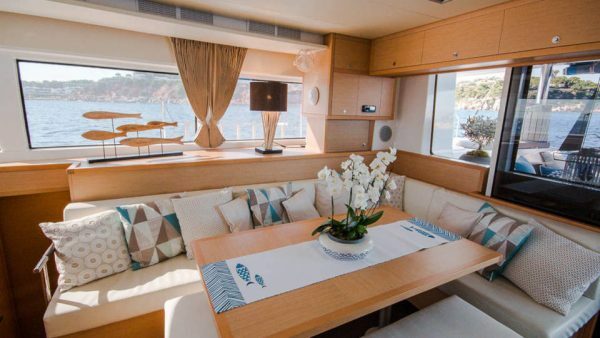 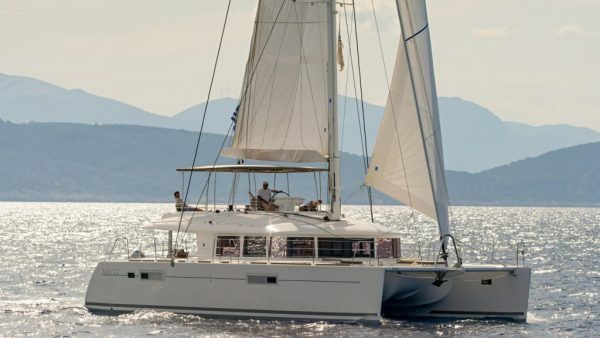 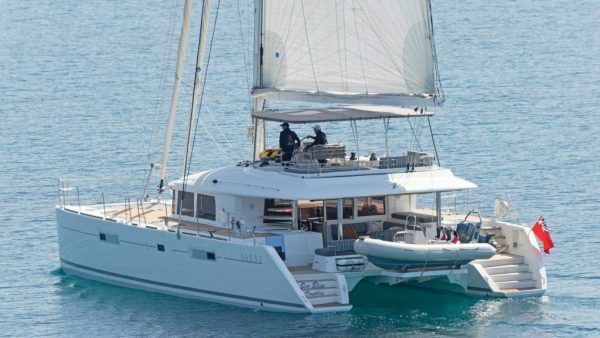 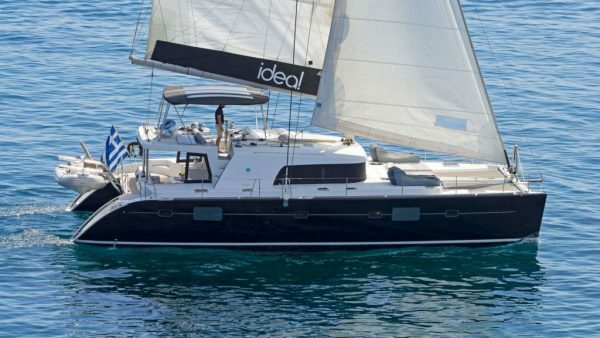 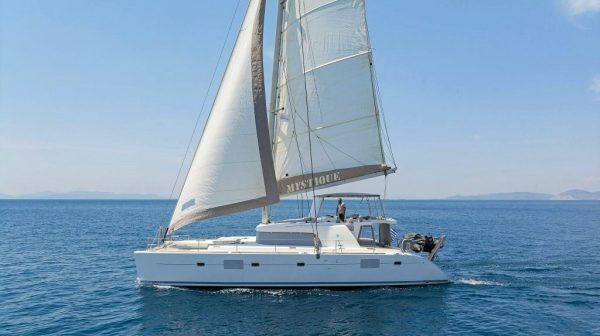 Sea Bliss is a Lagoon 560 catamaran ideal for charters in Croatia. 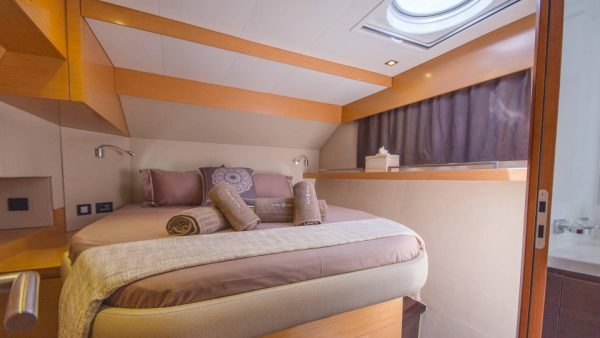 She presents four luxurious cabins which accommodate up to eight guests. 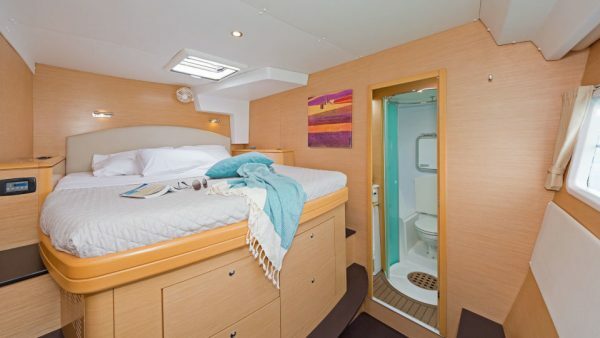 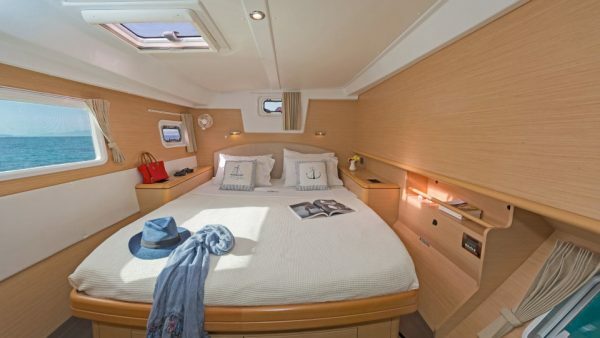 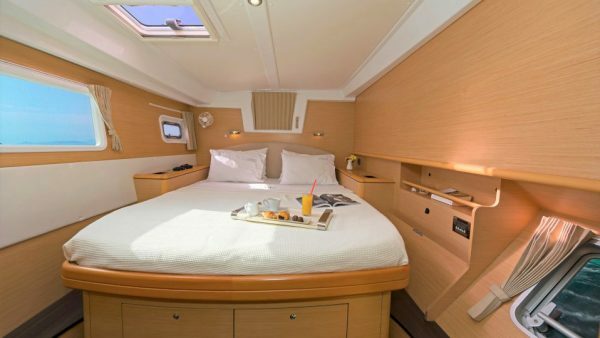 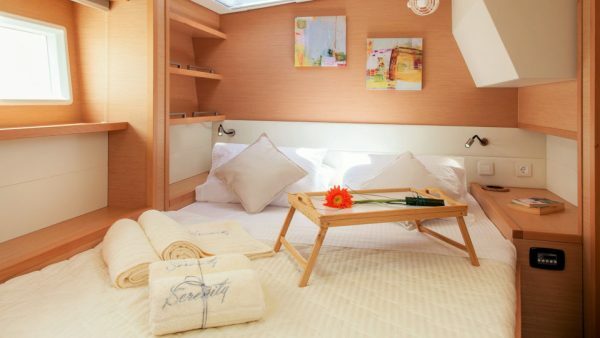 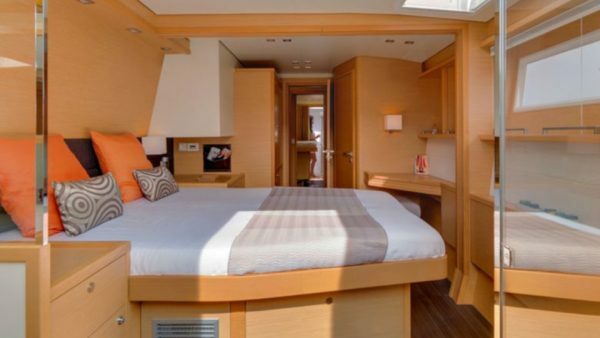 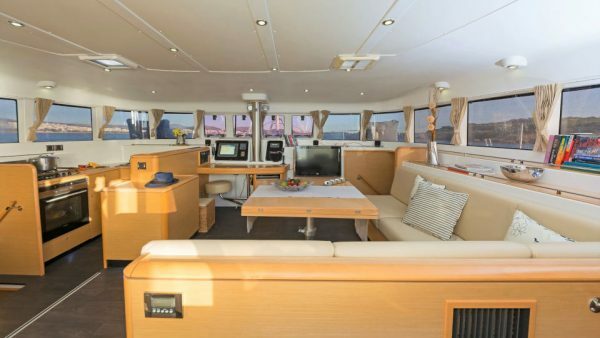 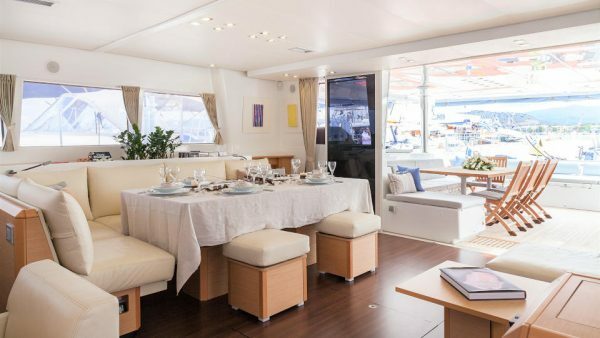 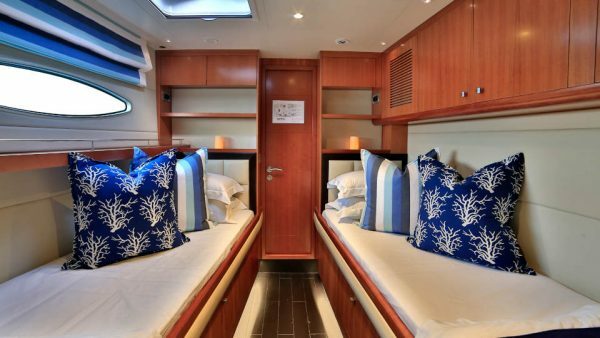 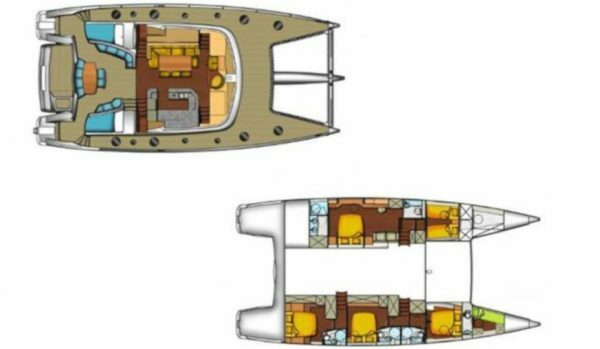 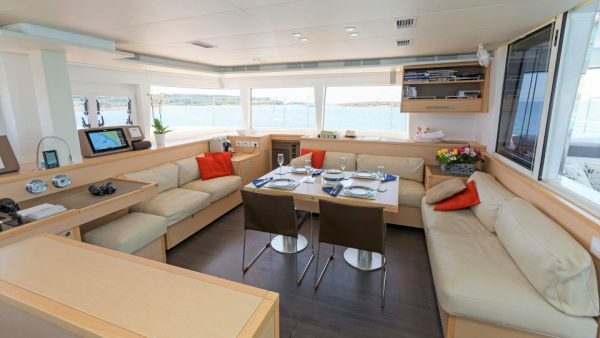 Guests can either relax at her warm saloon with the open layout or at the spacious sunbathing area. 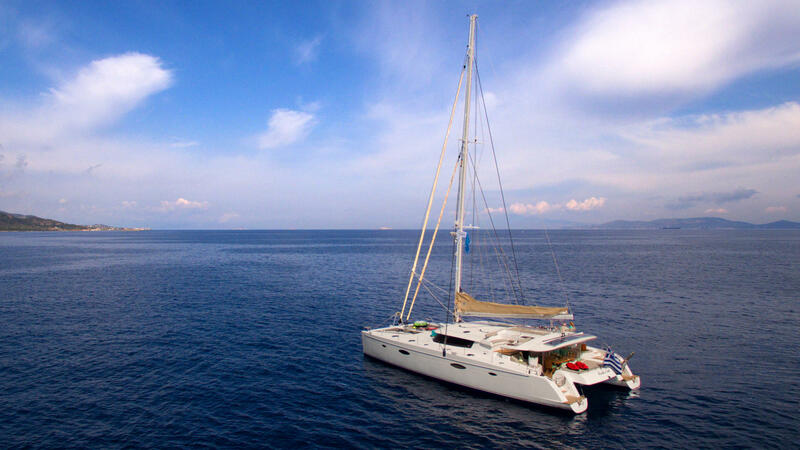 Sea Bliss is an excellent choice for discovering the azure waters of Croatia! 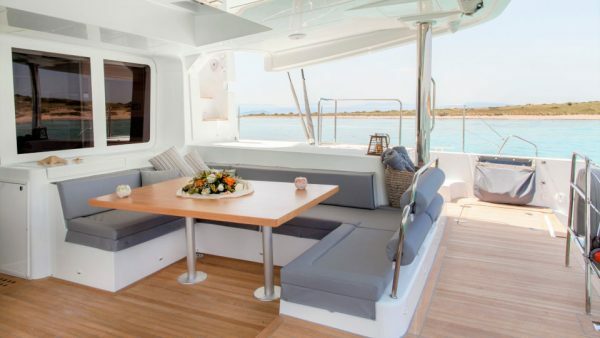 Nova, a Lagoon 620 crewed sailing catamaran, has ample exterior and interior space thanks to the wide catamaran design and 10m beam. 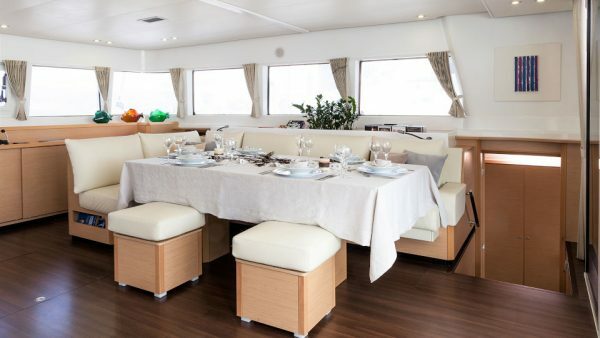 She comfortably accommodates up to eight guests in four cabins. 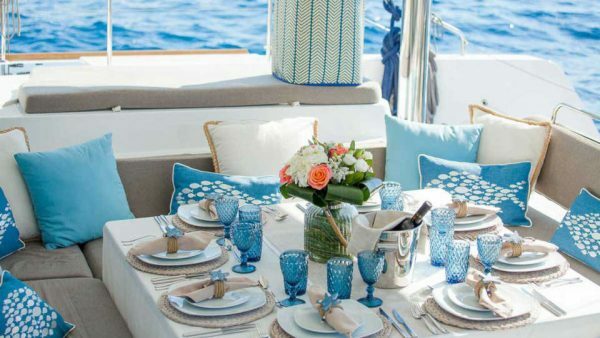 Her crew, dedicated to the highest standards of service, will spoil the guests. 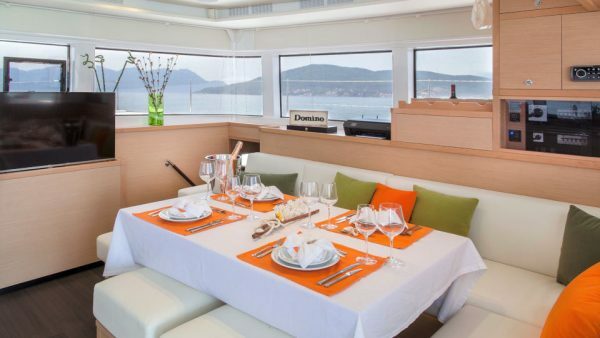 Her Chef, who ranked 1st in the Mediterranean Yacht Show “A” Category Chef’s Competition in 2015, will prepare exquisite culinary creations! 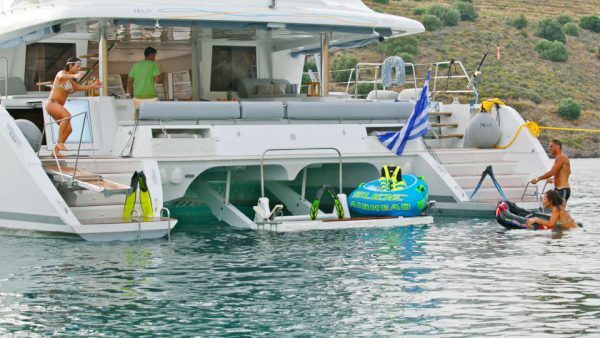 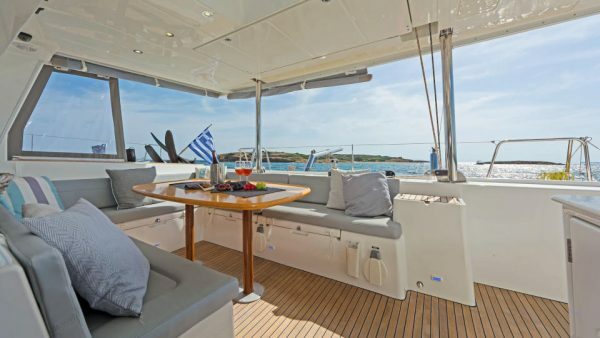 Mystique is a custom built Lagoon 500 available for charters in the Greek islands. 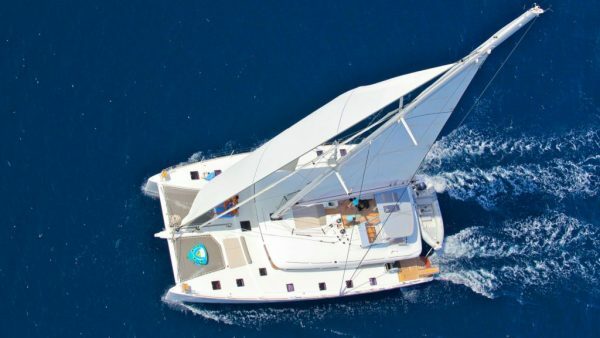 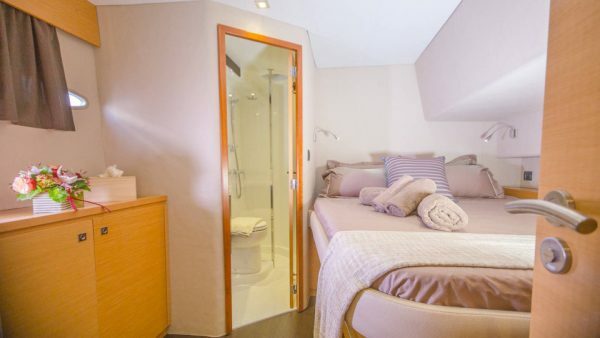 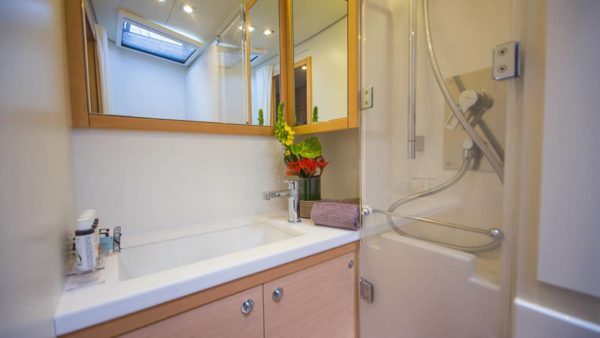 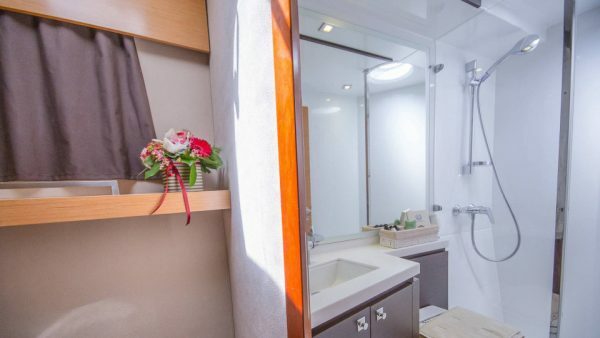 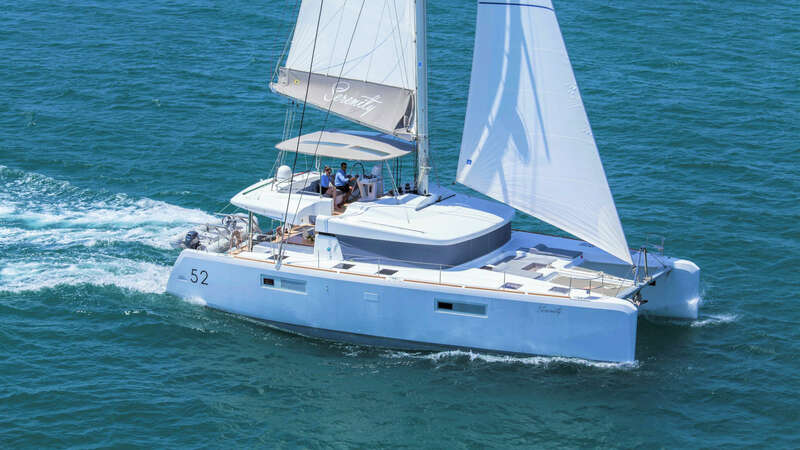 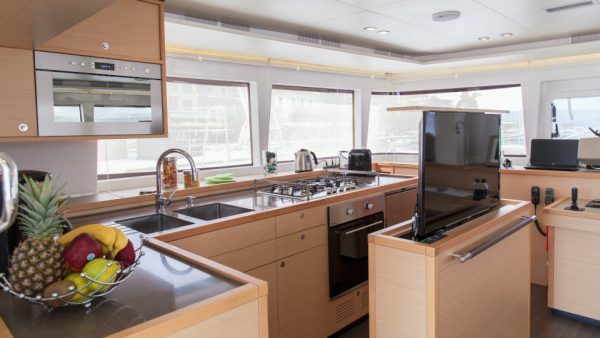 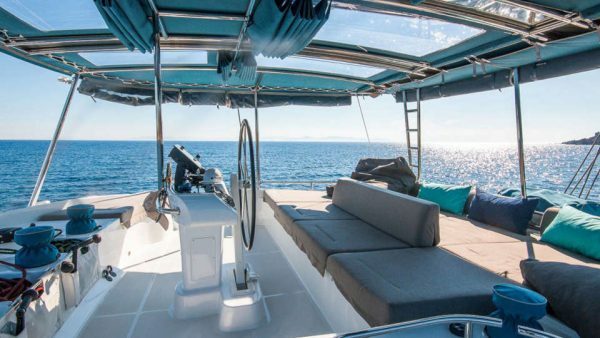 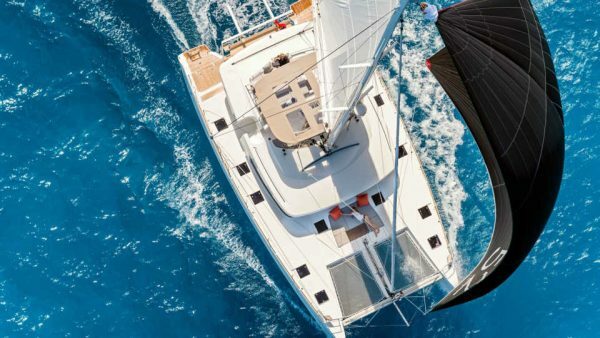 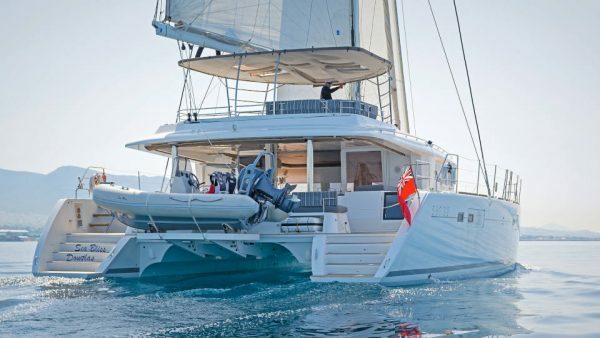 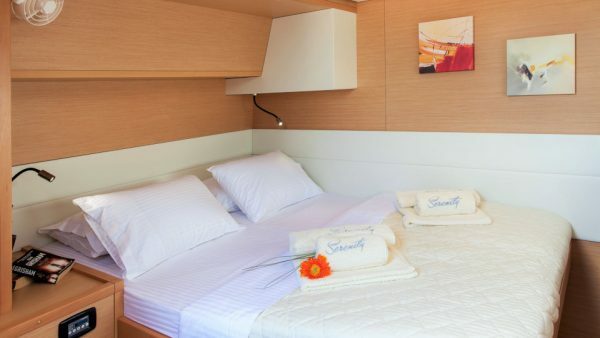 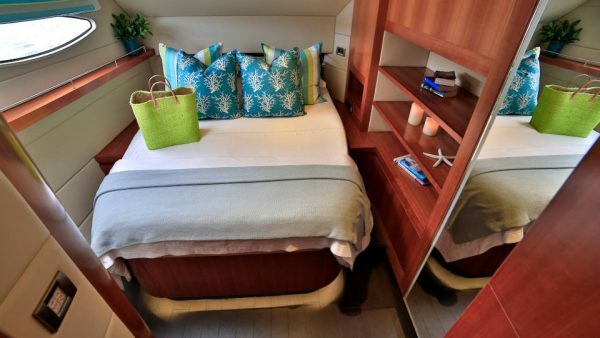 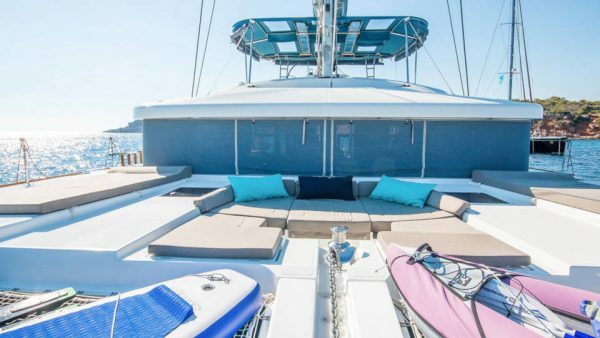 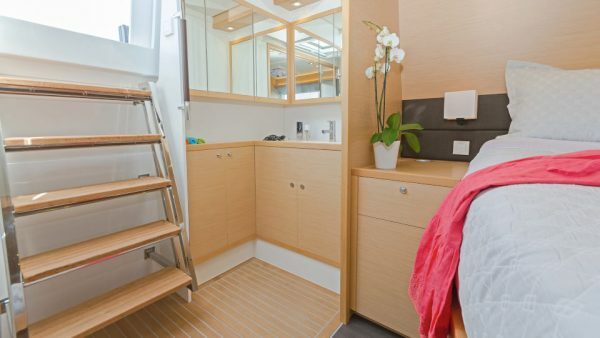 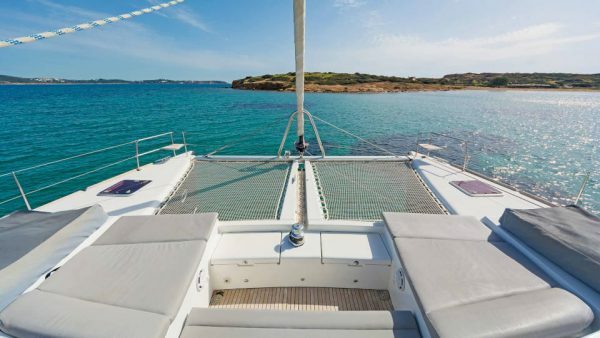 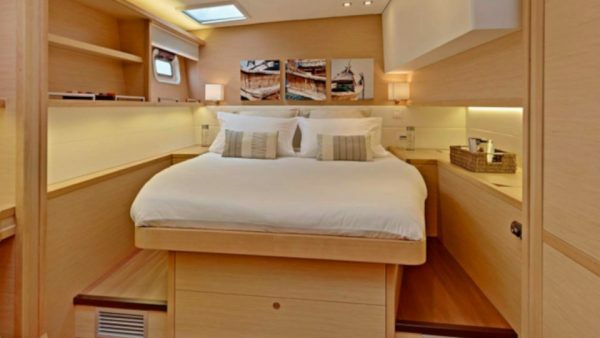 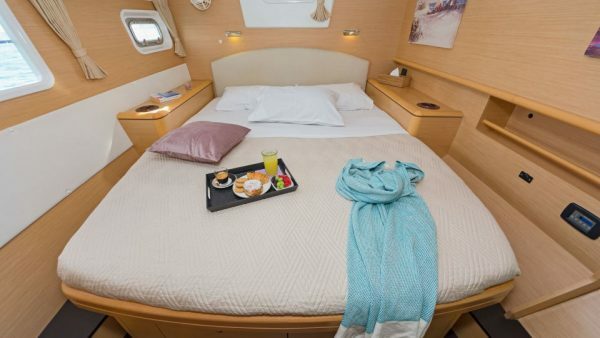 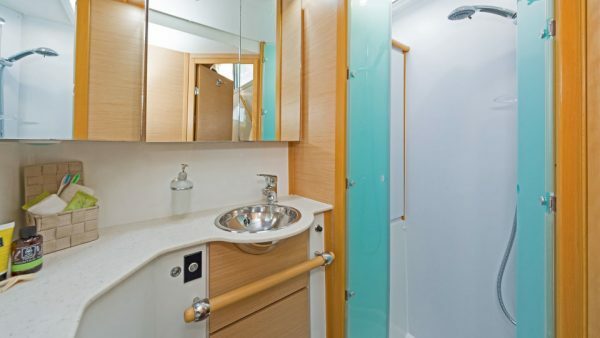 This spacious sailing catamaran features a nice layout of five cabins, all with ensuite facilities and fully air-conditioned, which comfortably accommodate up to 10 guests. 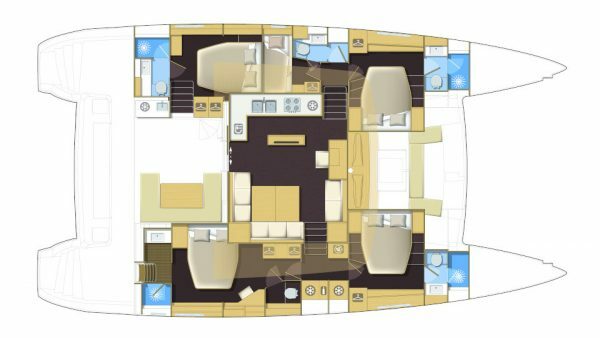 Wide panoramic windows fill the saloon with plenty of natural light while on the aft deck there is an alfresco dining area. 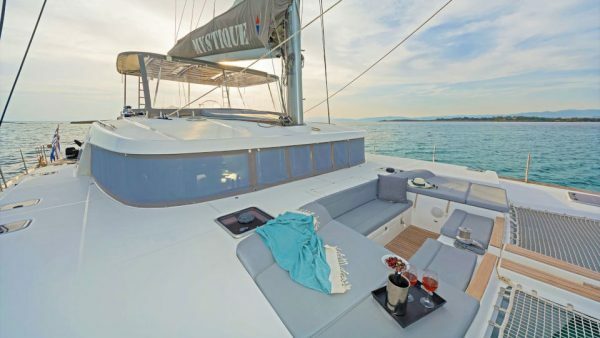 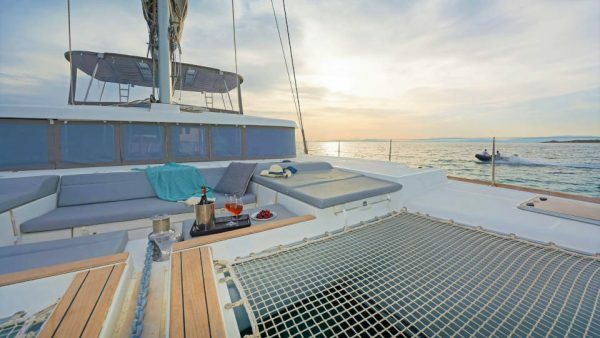 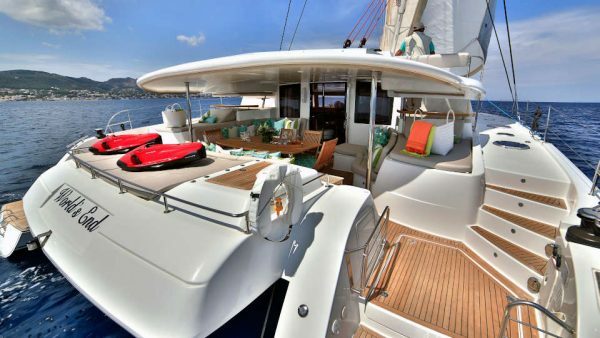 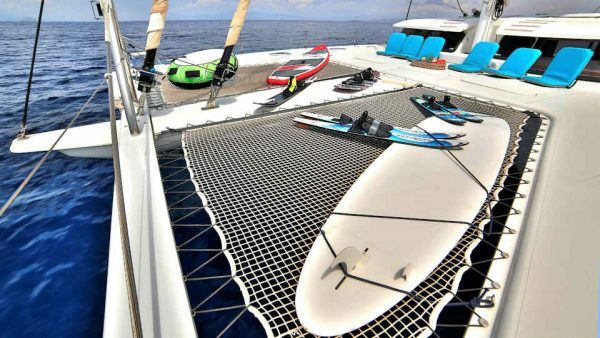 Mystique is one of the very rare catamarans which offer so space! 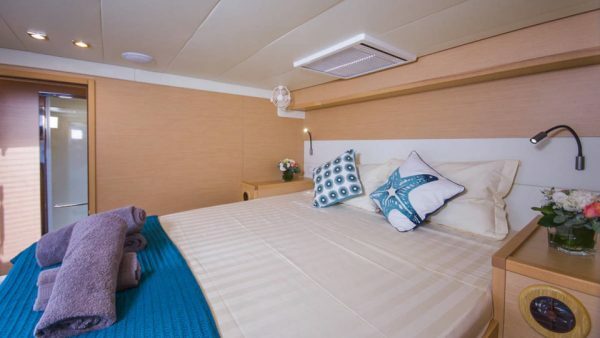 Moya, presenting five very spacious independent cabins, is perfect for groups up to 10 guests. 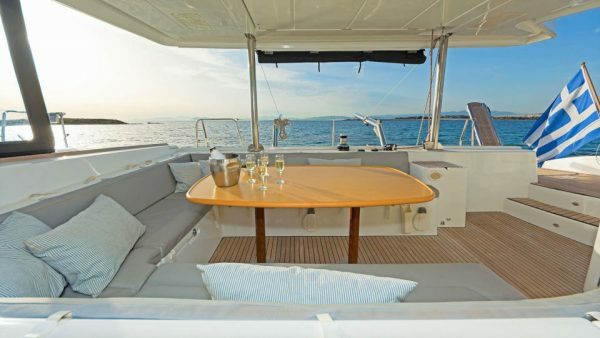 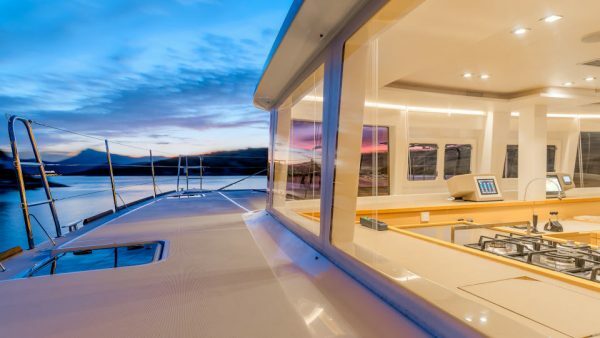 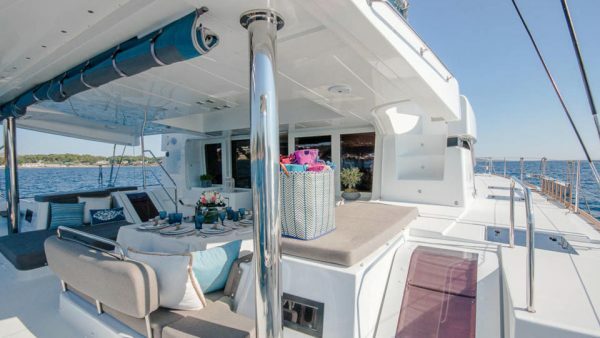 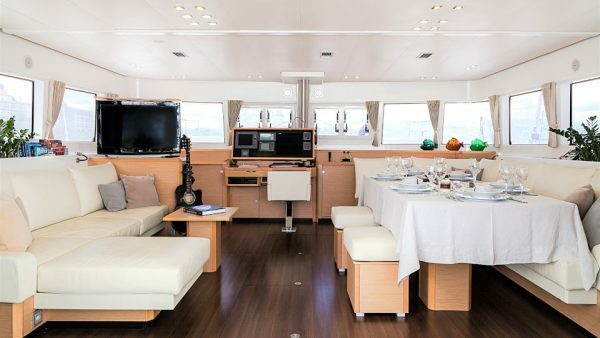 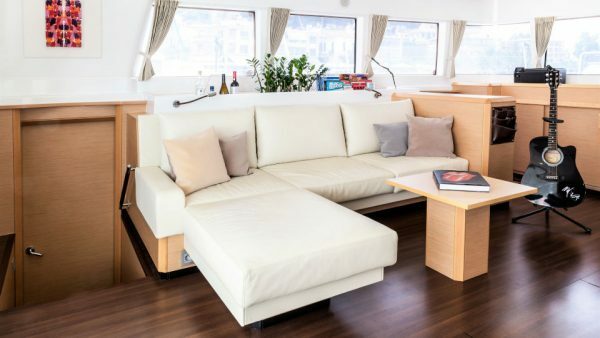 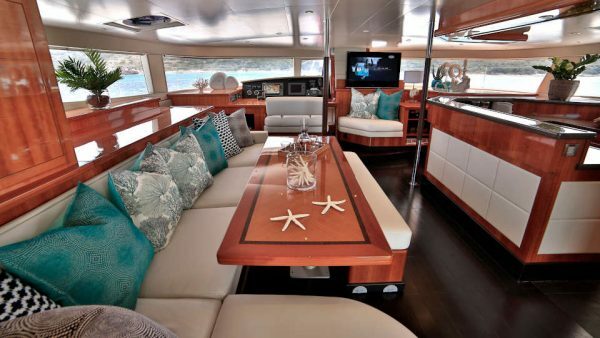 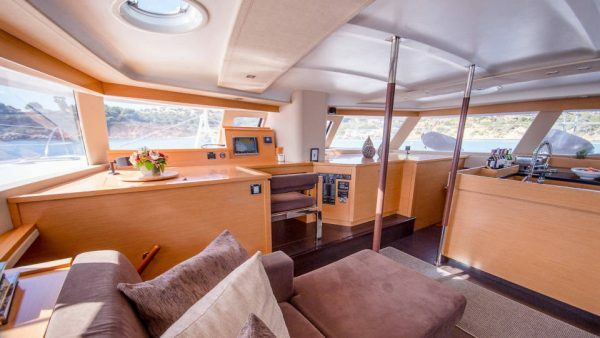 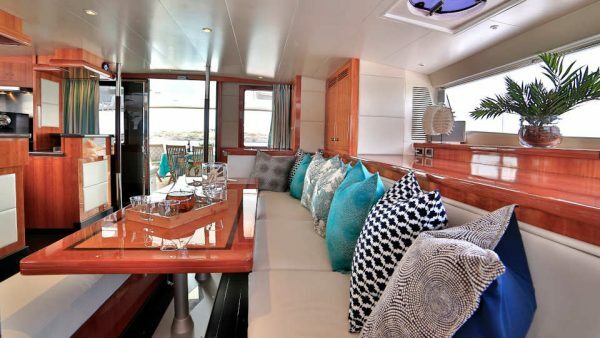 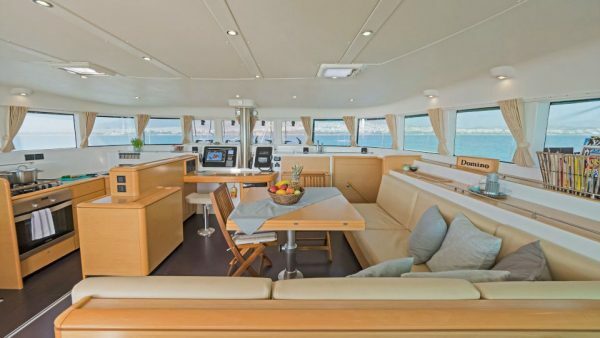 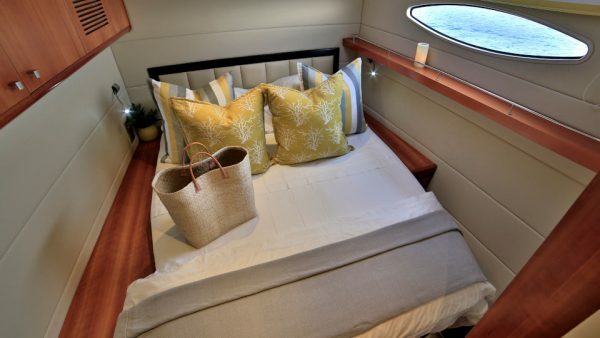 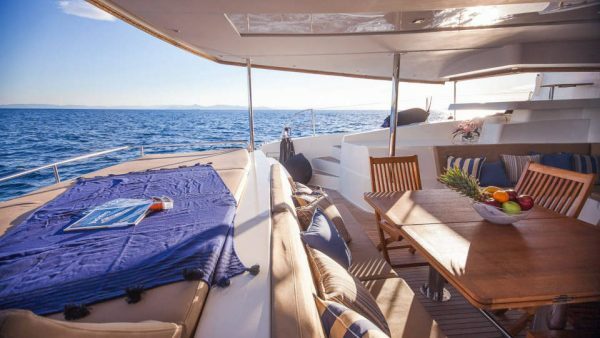 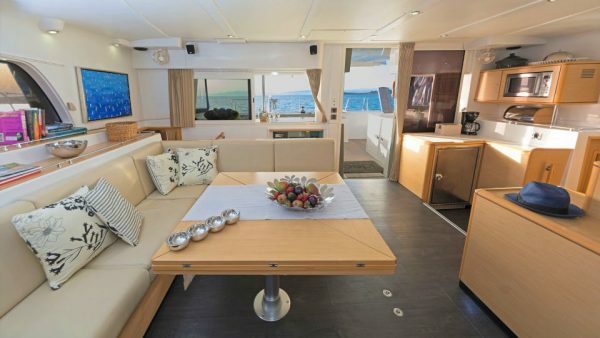 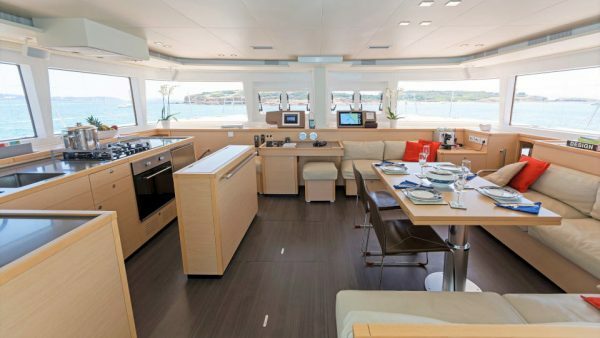 Her impressive layout features a cozy saloon and galley, ample lounging space on the flybridge and dining and lounging option in the vast aft cockpit. 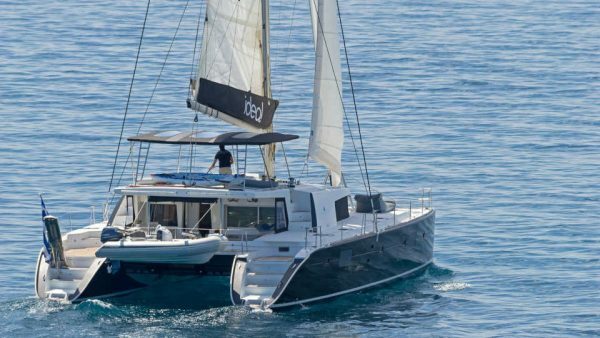 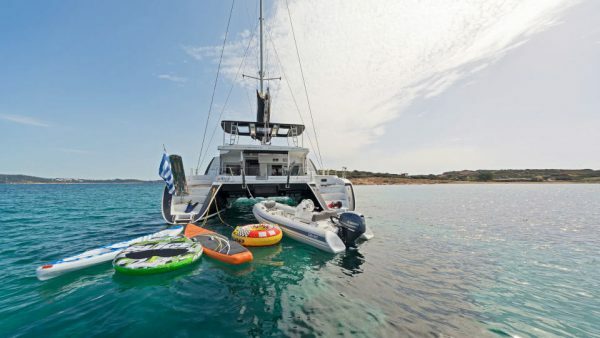 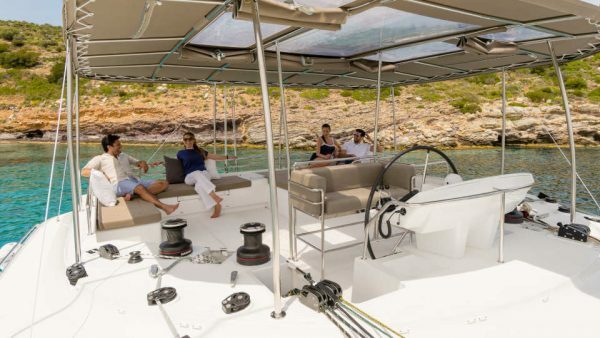 This beautiful catamaran which combines high performance and style will definitely exceed the expectations and is considered by many the ultimate voyagers’ catamaran! 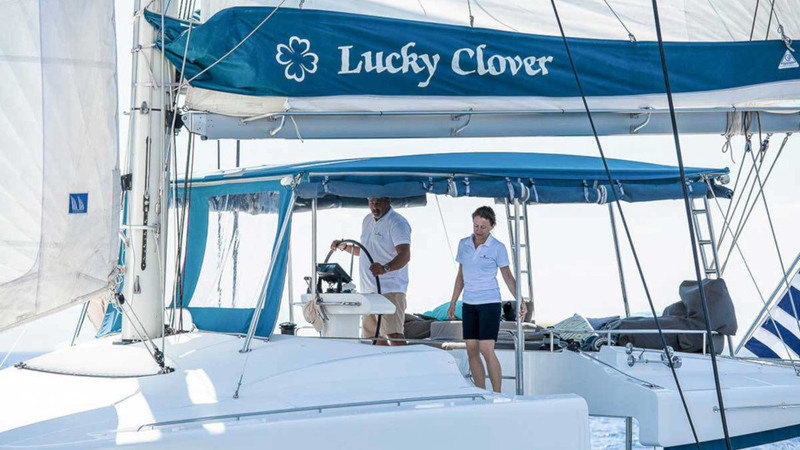 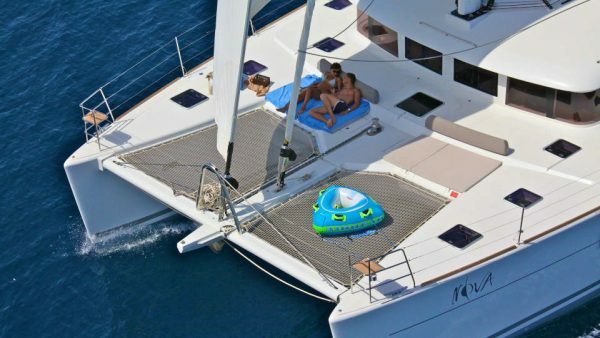 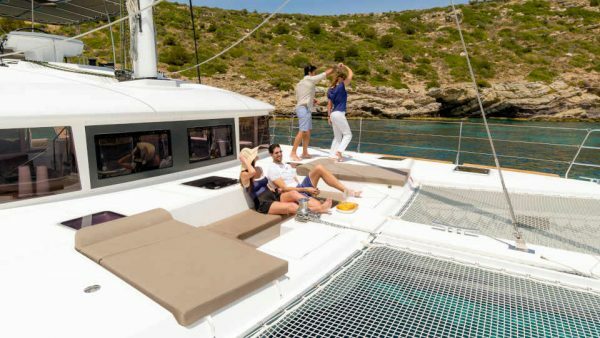 Lucky Clover is a modern catamaran, ideal for guests who want to cruise in complete comfort and serenity. 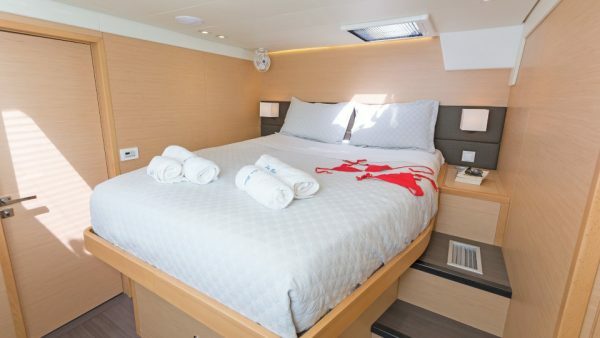 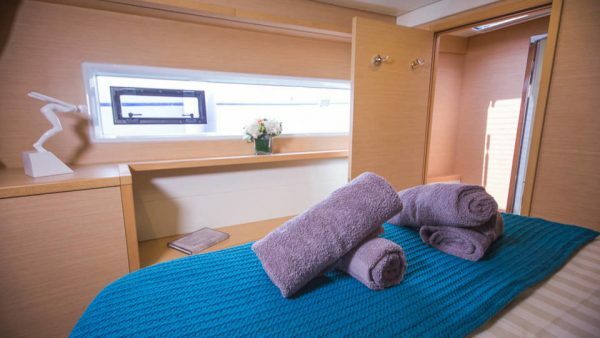 She accommodates up to 12 guests in six cabins, five Queen sized cabins – with direct access via stairs from the Master and VIP cabins to the aft deck – and a Twin cabin. 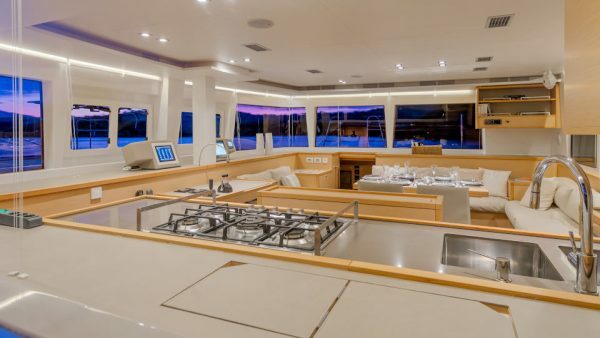 The open galley is adjacent to the dining area and guests can watch the Chef prepare their gourmet meals! 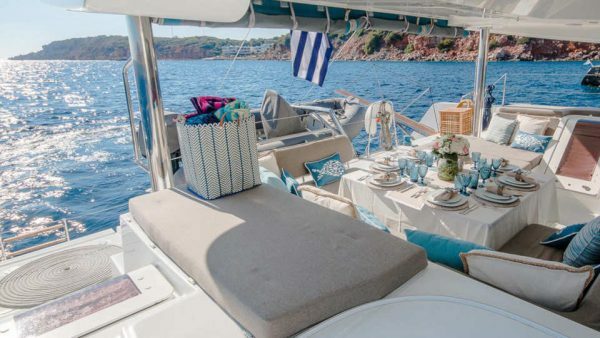 The flybridge with the large sunpads is exceptional for relaxing and soaking up the sunshine. 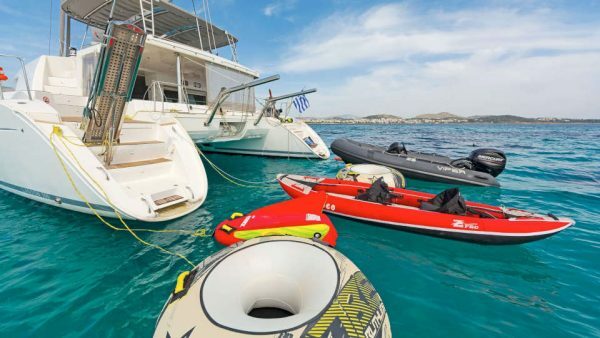 Idea is IDEAL for cruising to the Greek islands! 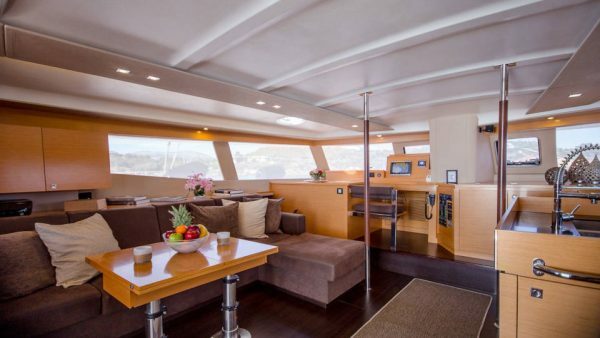 This custom built Lagoon 500 offers spacious decks and bridge, perfect for enjoying breathtaking views. 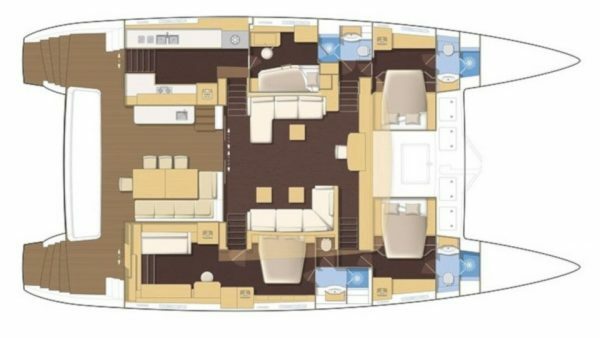 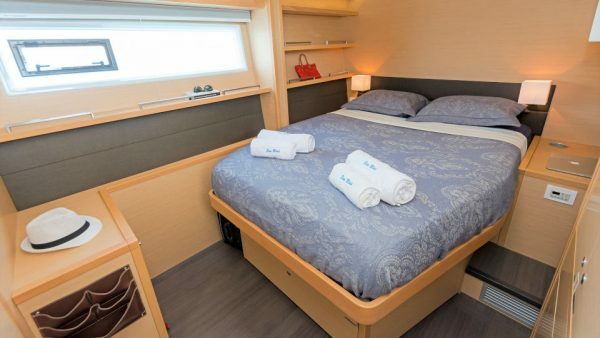 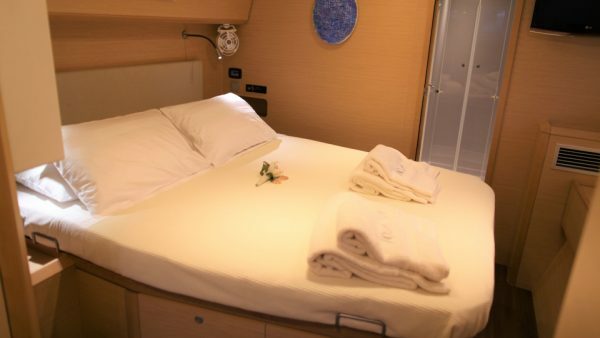 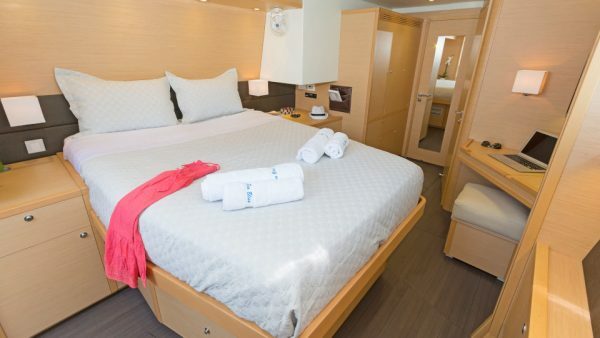 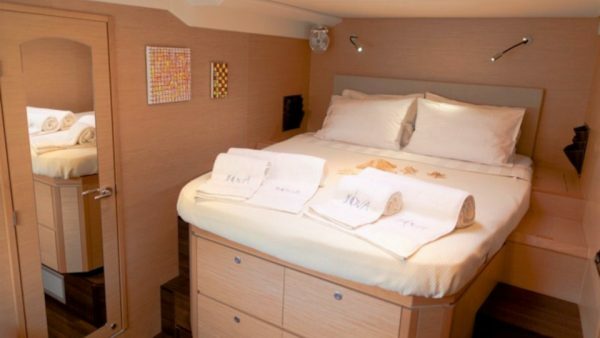 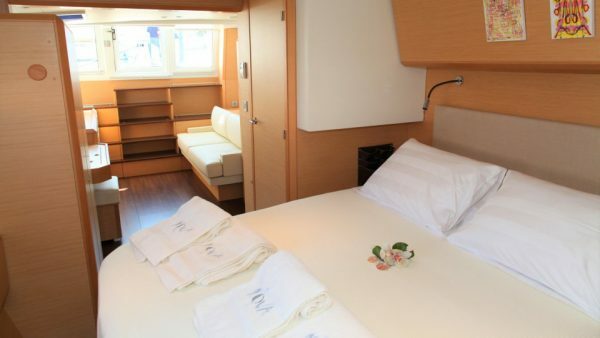 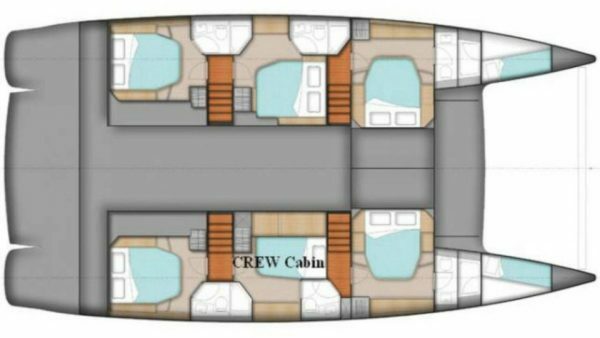 She presents five fully air-conditioned ensuite cabins, four double and one twin. 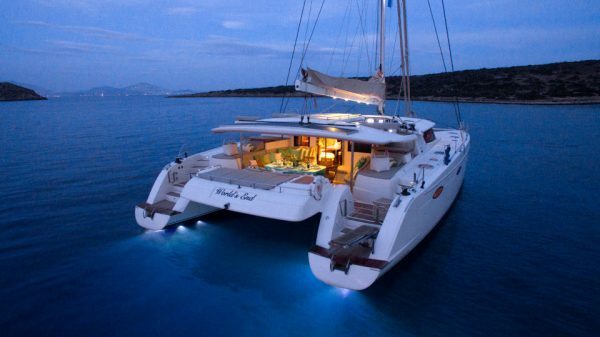 Guests will have a great time onboard and will enjoy amazing night swimming thanks to her underwater lights! 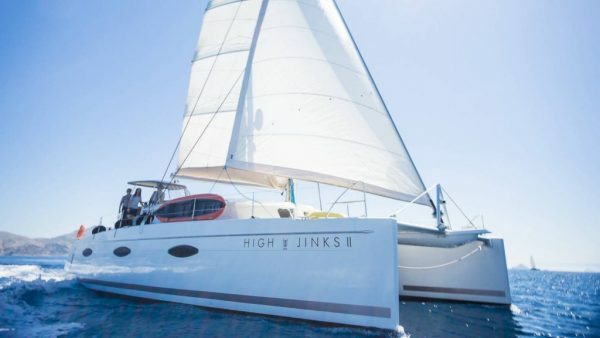 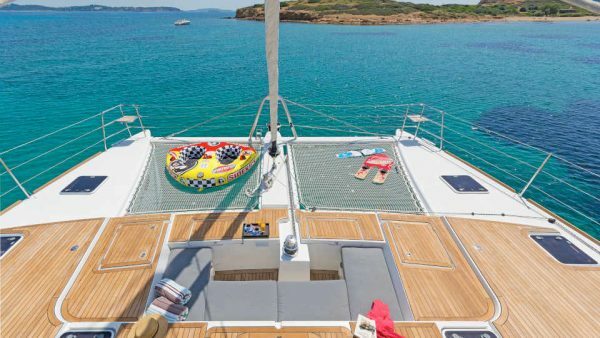 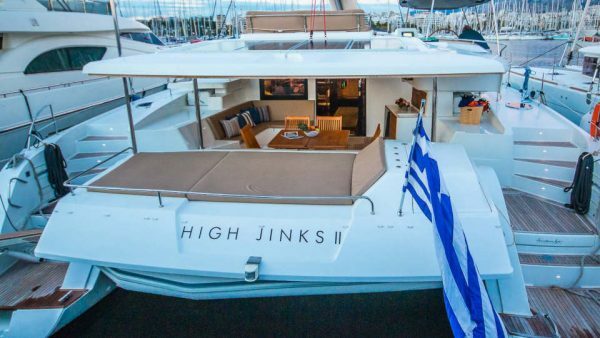 High Jinks II is a stylish and spacious catamaran perfect for cruising to the Mediterranean in comfort and privacy. 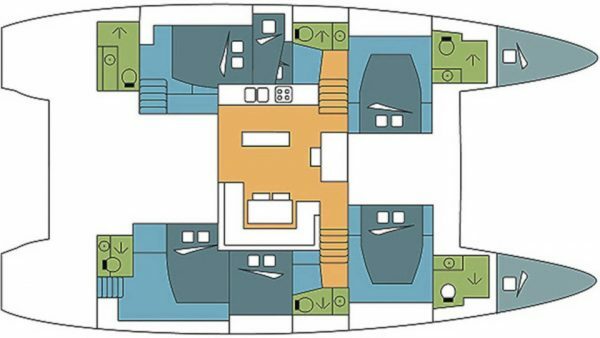 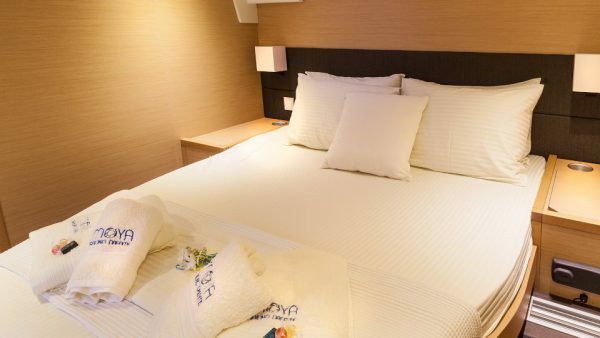 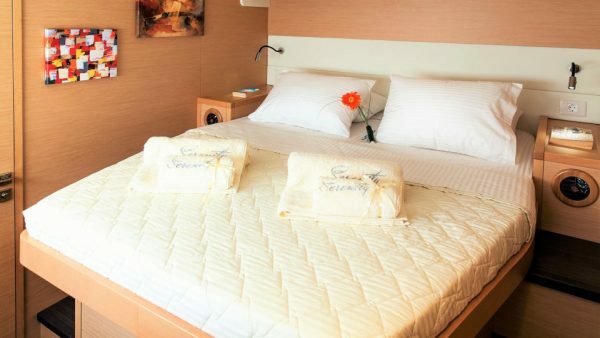 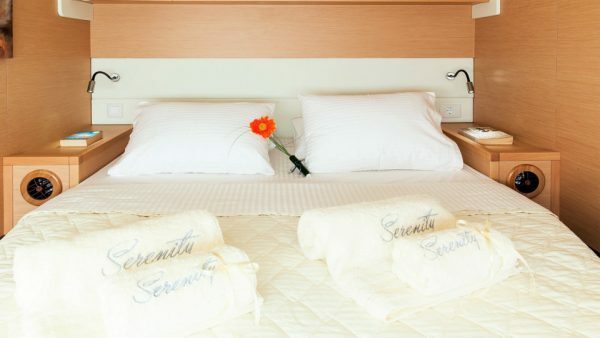 She presents a nice layout of four Queen size bed cabins and one with double bed, all with ensuite facilities. 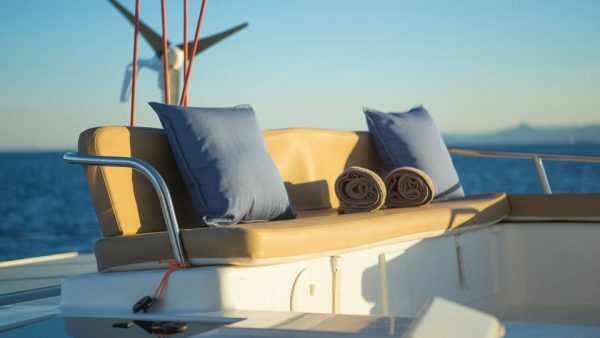 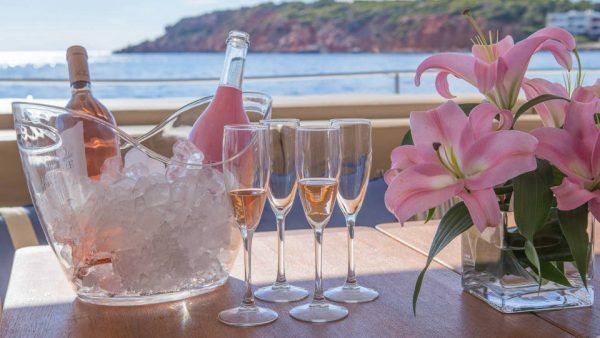 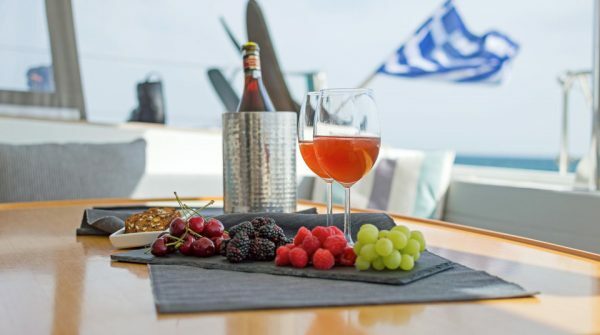 The fore deck is the ideal area for sunbathing on comfortable sunbeds while the flybridge is perfect for enjoying a glass of champagne accompanied by finger food prepared by the excellent Chef.